Bakesale Betty Mosaic, originally uploaded by in2jazz. 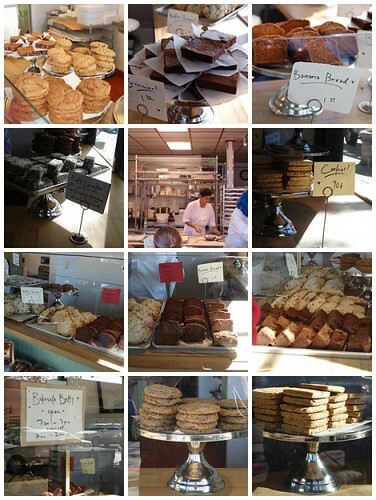 Delectable baked goodies from Bakesale Betty located at 51st Street and Telegraph Avenue in Oakland. I usually stop in there and get some of their really yummy banana bread. They have all kinds of bake goodness. Stop on by. I was talking with some lesbian friends of mine who go to Bakesale Betty all the time and how almost everyone of them were called “hon” by Ms. Betty herself–and there were a couple who were upset that they weren’t called hon. the husband and I were gonna go there to see if we would get called hon or not as well. Hehe! You are currently reading Bakesale Betty at Simply J Life.